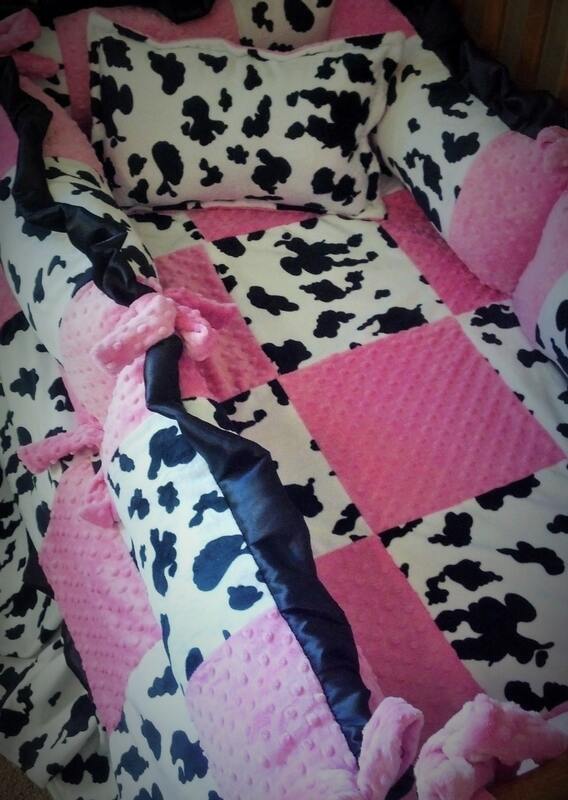 Cow Crib Set. You design. Several Colors Available. Design your own custom baby bedding. We have several fabrics to choose from. If you do not see a fabric on my page you are looking for, please message me some examples. I would be more than happy to locate your fabric for you, purchase it, and create your dream nursery for you. Zebra, Cheetah, Leopard, and other animal print designs also available. 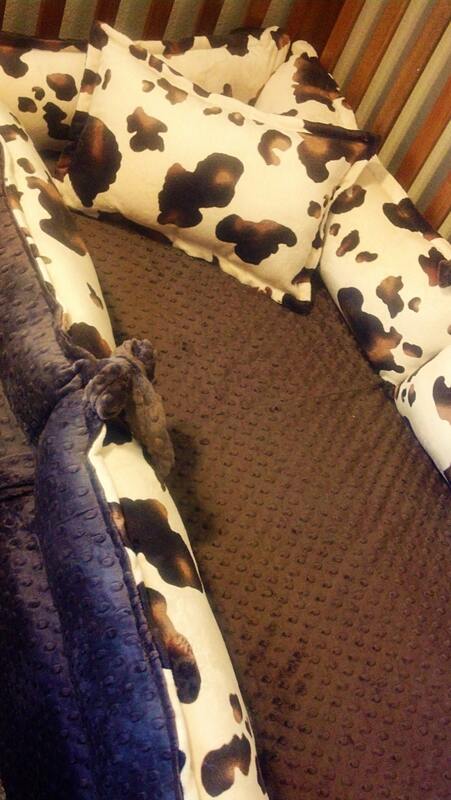 For this cow crib set, we have 3 minky cow prints to choose from. 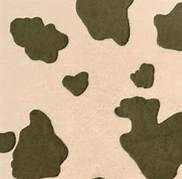 You can do black and white as shown in picture 1, the brown cow pony shown in picture 2, or beige cow shown in photo 3. You also have your choice of the solid minky accent you can use. Use as many colors you desire at no additional charge. You can add to my basic crib set or subtract any pieces you want to create the perfect set. 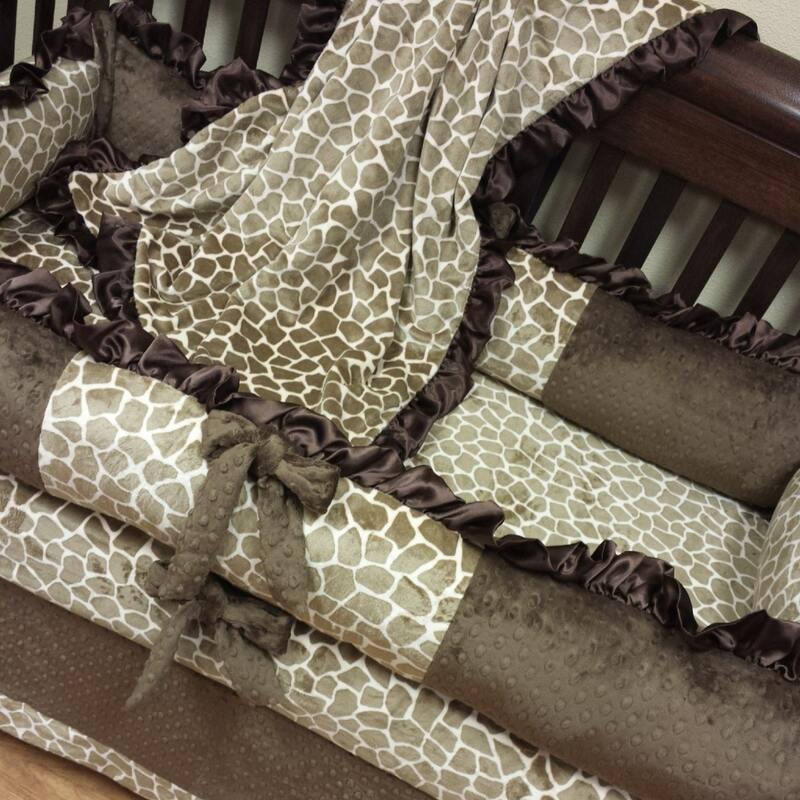 My crib sets are all designed to fit a standard size crib with a mattress width of 52"x28". Bumpers - I offer THIN panel bumpers or our deluxe PLUSH bumpers that are 4x thicker than your average bumper at no additional cost to you. You design. Ruffle for girls, cording for boys. Cotton Crib Sheet (upgrade to minky for $16 more) shown here with minky upgraded fitted sheet. Please contact me before placing your order if you would like to add or subtract any pieces. To purchase this set as shown in picture, click to buy and enter any details you feel I need to know at checkout.